Setting the scene at EF Academy Torbay. The sense of happening and purpose that we experience on a daily basis. The blend of world languages, the equality felt between students and staff, the knowledge that these young people are the ones who will make this world a better place. There is a suffusion of purpose and excitement, tempered with humor and kindness. We have views of the sea and a connection to the rugged countryside of Dartmoor. Our town quickly gives way to the lush green that Devon is so famous for. It is a beautiful place to study and to work and so readily made use of by our Student Life team – it gives quick release from the academic pressures students face. These two things were best demonstrated the other day when a number of our students went to see Shakespeare’s A Midsummer Night’s Dream. What made the performance unlike anything else was that it took place in pre-historic limestone caves, the actors moving us along as they performed so each scene took place in a new part of the cavern. The students, all of them English learners, watched excitedly. Those who knew that play quietly helped to explain the plot to those who are still developing their academic English. It was magical. What’s more, it demonstrated how our location here in Torbay provides us with some unique opportunities. Not just for the study of Shakespeare’s plays but for our students to demonstrate engagement with challenging concepts and help others to engage as well. Unlike any other school I have worked in, this is a place where students and staff all work together for a common goal. Be that passing external exams, completing Internal Assessments or helping a friend to understand Shakespeare. Whether it be in Torbay or somewhere else, finding a location that works for you will set the scene for your studies and motivate you like nothing else. We believe that a well-rounded education extends beyond the school walls and into its surroundings. An atmosphere and environment that inspires creative thought is integral to good teaching and learning. Written by Andrew Thain, English Teacher and IB Coordinator, EF Academy Torbay. Do you dream of learning by the seaside? 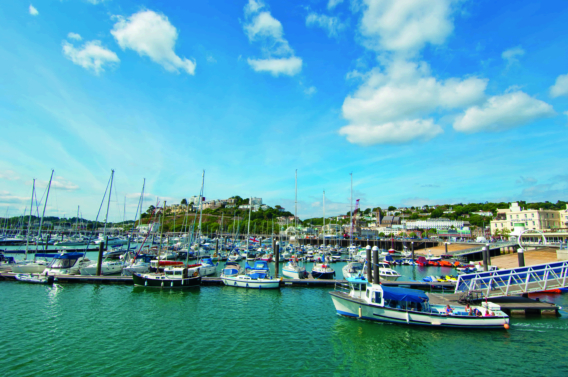 Can you picture yourself in Torbay?